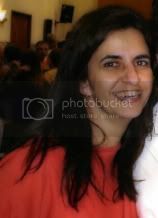 Gostaria de agradecer a todos os comentários deixados no meu blog e também no 4 Shared . 1) Dia 02 de abril foi aniversário de meu filho (18 anos) e estava preparando um almoço para a minha família no dia 01 de abril e graças a Deus deu tudo certo . 2) Minha mãe ficou doente, inclusive nem pode ir ao niver de meu filho e infelizmente na semana passada (03 abril) ela foi internada, na UTI coronariana . Passei a semana e o feriado da Páscoa no hospital, mas o importante que estava ao lado dela . Vamos ao kit , seguindo a proposta do Cantinho of the Scraps, fiz o Kit Seashore, espero que gostem . I will try to write in English , sorry my mistakes I don't speak very well . I would like to thank everyone for the commentaries in my blog and in 4 shared . 1) I'd prepared a lunch, to celebrate my son's birthday (18 years) and last sunday all my family came in my house .... what a mess, a lot of work, but the happiness of my son compensated everything . For this and much more, every day I say : thank God for my sons, my family, my friends and my life. 2) My mother was sick, she didn't came in my house to my son's birthday and unfortunetely last Tuesday (April 03th ) she was interned in the hospital and remained in UTI . I stayed the week and this Easter in the hospital, but the important is that I was near her . Let's to the kit , following the proposal of the week of the Cantinho of the Scraps, I made the Kit Seashore, I hope you like. Thank you so much for sharing this great kit! Glad you had a nice time with your family. I hope your mother is feeling better. 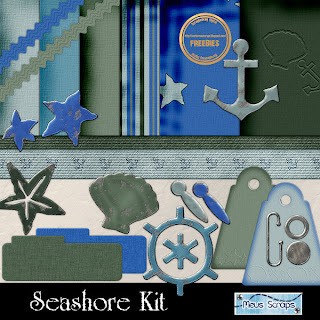 Thank you so much for sharing this Seashore kit! I have lots of photos from vacations that I need to get onto layouts! This kit will be great --- love the colours and the elements/shapes. I will say a prayer for your Mother...and for you. I am happy that you had the comfort of being with her at such a time. Thank you. Your mother is in our prayers. I am sure she is grateful that you are there. Eu gosta todo kit MUITO!! Esta kit so muito bonita! Desculpe parame, porque eu Sul Africana - nao falar bem Portugues! Your English is really good....as you can see, my Portuguese is very bad. Thank you very much - you have beautiful designs. I hope everything is going well with your family.